Half a century ago, restrictions resulted from the political situation left a group of art and literature-loving young Taiwanese people with no other choice but to rely on translated books to imagine what Western art films were like; moreover, they carried out their own experiments on film. Half a century later, it seems that we can only rely on the fragmented written accounts that have survived and various theories to image what these lost films looked like. Unfortunately, ‘not being able see the real thing’ becomes the common thread between now and then. Starting from [this] ‘double imagination’ […] and based on historical documents from various sources, [TIDF] searched for the independent films made during that period. Our clues came from the artists, the Theatre Quarterly, the film students who studied abroad and those in the Hong Kong and Western literature and art worlds who were in contact with their Taiwanese counterparts. Under the unique circumstances at that time, these films might reflect the reality in some way, and we hoped that the rediscovery and revival of these works would provide us with extra materials and allow us to conduct a conversation with the 1960s, a period known for its modern, avant-garde and experimental spirit. Tonight’s program derives from a five-part series curated by Taiwan International Documentary Festival (TIDF), with support from the Taiwan Film Institute. In 2016, curators at TIDF conducted an exhaustive search for Taiwan’s experimental films of the 1960s, unearthing a striking body of largely forgotten works. Highly innovative and reflective of contemporary Taiwanese politics and culture, the works themselves embody a formal diversity which not only expands canons and challenges the definition of cinema but also sketches the rough edges of a generation’s own sense of modern film. Tonight’s program—curated by Emily Chao as part of Taiwan International Documentary Festival 2019 on Tour—presents a selection of films from TIDF’s comprehensive series, accompanied by live musical performance by Amma Ateria. 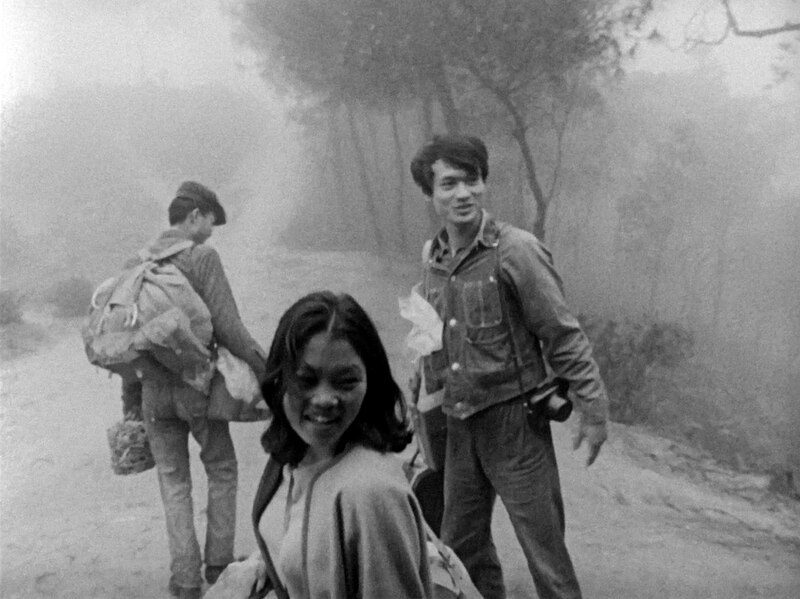 SCREENING: Run (1966) by Han Hsiang-ning; Life Continued (1966) by Chuang Ling; Getting Ready for the Festival (1967) by Long Sih-liang; A Morning in Taipei (1964) by Pai Ching-jui; The Mountain (1966) by Richard Yao-chi Chen. Emily Chao is a filmmaker and independent curator based in the Bay Area. She is from San Jose CA. She earned her MFA in Film/Video at the California Institute of the Arts. She co-curates for Light Field, an international exhibition of recent and historical moving image art on celluloid. Her work has screened at CAAMFest, BAMPFA, Asian Film Festival Berlin, REDCAT, the Viennale and more. This program is presented with the support of the Taiwan Documentary Film Festival, the Taiwan Ministry of Culture and the Taiwan Film Institute.